Endorsee, one of our portfolio companies, had its coming out two weeks ago today at the NAMM show in Anaheim. 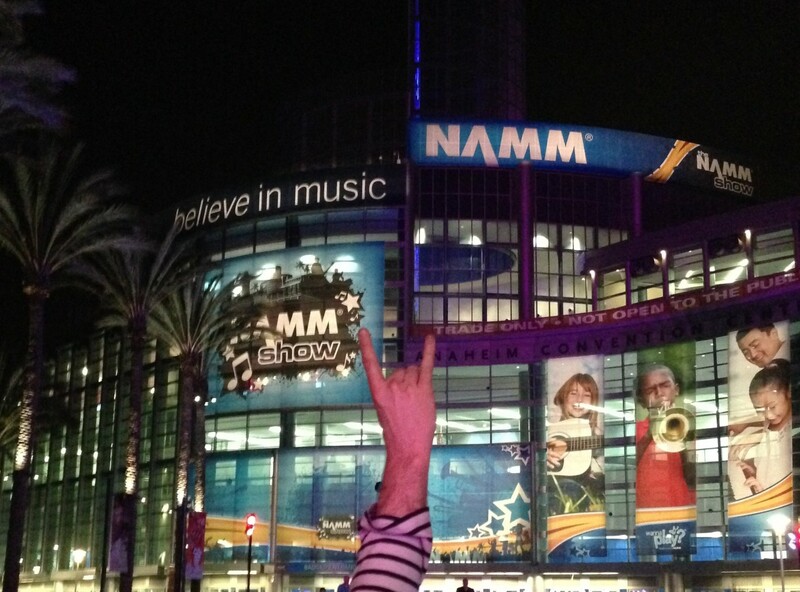 It was my first NAMM proper, having attended Summer NAMM last year. We spent our time introducing the product to over a dozen music equipment companies in one-on-one meetings. During these meetings and our time on the show floor, I watched, listened and learned a lot from my cofounders, NAMM veterans themselves, and the companies we spoke with. For those, like me, who’ve spent their careers in technology, it’s easy to get caught up in the pace and approach of the industry. To spend days focused on lofty things like business models, user experience, growth hacking, customer development and traction. To operate under the belief that speed wins, and every dollar shaved off your burn rate or slide from your pitch deck is a competitive edge. In tech, it’s the game we choose to play, and we learn to play it well if we wish to succeed. The music business, on the other hand, is playing a long game (whether by choice or necessity is a topic for another day.) This becomes even more evident at NAMM. Here’s what I relearned at this year’s show. Relationships are how it gets done. In the land of conversation rates and user acquisition, it’s easy to lose sight of actual human beings. Making our rounds at NAMM, I saw time and time again people who’d been doing business together for decades slow down, take time for long handshakes or hugs and have thoughtful conversations. They were paying as much respect to their relationships as the deals they were doing. With an increasing focus on experience over features and functions, the tech industry is beginning to learn this lesson. The app economy, in particular, has increased our focus. Even so, we spend much of our days in documents and data. Getting your hands on a gorgeous, handmade guitar or even a single wooden drum stick made with care is a viscerally different experience. Putting your hands on a great product – there’s nothing like it. Passion for instruments, playing and performance – making music. This is when I saw people at their best at NAMM. Watch a kid or an old-timer pick up an instrument they admire to play a few perfect notes, and you’ll see the same thing in their faces: pure joy. In that moment, they aren’t doing it for personal gain or a business win. They’re doing it because it’s their passion, and it’s priceless. Lasting change comes in its own time. Reading through the program guide and studying the show floor, I couldn’t help but think that as a microcosm of the music business, NAMM is simply behind the times. But that was my highly subjective view as a technologist and early adopter. The more accurate view and crucial lesson I must always remember is this: industries are made of people, and people change when ready, not simply because more advanced technology is available.